Too often, Leslie says, people treat tattoos as an invitation to intimacy. Strangers on the subway ask her to relay the story of her tattoo without a second thought, much as they would, in offering a seat to a pregnant woman, ask for the details of what’s growing inside of her. But in Leslie’s case the tattoo does point to an intimate story—or rather, to a whole constellation of intimate stories that Leslie offers in her essay collection The Empathy Exams. “I am human; nothing is alien to me” is the epigraph to the collection. It is a quote that has been casually misattributed to Montaigne, John Donne, Karl Marx, and Maya Angelou, but it actually comes from The Self-Tormentor, a play written by Terence, the ancient Roman slave turned playwright. It is the thread that connects such different yet equally luminous works as “Grand Unified Theory of Female Pain,” “Pain Tours,” and “The Devil’s Bait”—meditations on how to feel pain, both physical and psychic in nature, and how to regard the pain of others in a way that respects their humanity. Having read The Empathy Exams, I can begin to appreciate why Leslie has made the small, if painful, jump from writing about the body to writing on the body. Leslie and I circled this conversation so many times at the Glass Shop that we decided to revisit it one morning in late October at my apartment in Brooklyn, and later that day, on the Metro-North to Yale University, where we are both finishing Ph.D.s in English literature. Most of the time, the tape recorder was on, but sometimes I switched it off so we could gossip idly, and forgot to switch it back on until Leslie was already halfway into a thought on feminism I wanted to preserve. But if this interview reads like the midpoint of a conversation that’s been taking place for some time now, that shouldn’t prevent you—the reader—from making sense of it. After all, you are human. This will not be alien to you. The most ungenerous criticism of the collection that I could imagine is, Oh, she keeps putting herself in these positions to experience pain or woundedness so she can have something to write about. How narcissistic. I can see people thinking as they’re reading, She’s a real glutton for pain. I guess that’s why it felt right to put “Grand Unified Theory” at the end of the collection. That idea of being drawn to pain is starting to emerge as a pattern in the essays themselves, and the final essay speaks to that directly. What position of pride do I have in relationship to these experiences? There’s a basic and important distinction to draw between positions I inhabit as somebody who has experienced some kind of trauma and somebody who’s seeking out pain. Going to the Morgellons conference is a choice in a way that getting hit in the street isn’t. But the collection chooses to bring all of those experiences together in a certain way—what kind of appetite is being spoken to there? In certain ways, as a writer, you do profit off your own experiences of pain, and there’s a way of seeing that profit that’s wholly inspirational—in terms of turning pain into beauty—and a way of seeing it that’s wholly cynical—in terms of being a “wound dweller” in a corrosive or self-pitying way. The honest answer—to me—dwells somewhere between those views. In the final draft of the Morgellons essay, I narrate the experience of having a parasite, but in an earlier draft I talked about how I deployed that story in Austin. Because I did deploy it. I was a little confused about how I was trying to deploy it, but it felt resonant to me, like I was trying to tell people, I have been looked at by a doctor in the same way that you have. There was some genuine empathy in that, but it was also instrumental—as in, I think you’ll trust me more if I tell you that I’ve been in some version of that position. One of the things I noticed in reading the final essay, “Grand Unified Theory of Female Pain,” was that feminism as a word or a concept doesn’t come up that much, even though you’re articulating a theory of pain that is unique to women. When did you realize gender was going to play such a pivotal role in your writing? Yale was one of the first places where I began to feel the role of gender in conversations, where I felt self-conscious about what I had to say. It felt like there were schisms along gender lines in terms of who was speaking with what kinds of authority and who wasn’t. It’s not like there weren’t a lot of exceptions to that, but up until then I had absolutely felt that being a woman hadn’t affected anything. It hadn’t affected where I’d been able to study or the awards I’d gotten. I just hadn’t felt it in the room before. The world of academia sensitized me to inhabiting my female identity in a different way, but intuitively that essay had its roots in my life. That was where the urgency to speak was coming from—this question of how to speak from different kinds of injury without inhabiting the role of a victim, or falling into this feeling of shame about taking refuge in that role. Shame doesn’t exist as an emotion without the projected or perceived sense of judgment coming from somewhere else. This is what Eve Sedgwick writes on shame. The performative utterance “Shame on you!” transforms and intensifies the relationship between the “you” that’s being addressed and the “I” that’s doing the shaming. That traction is where a sense of electricity comes from. 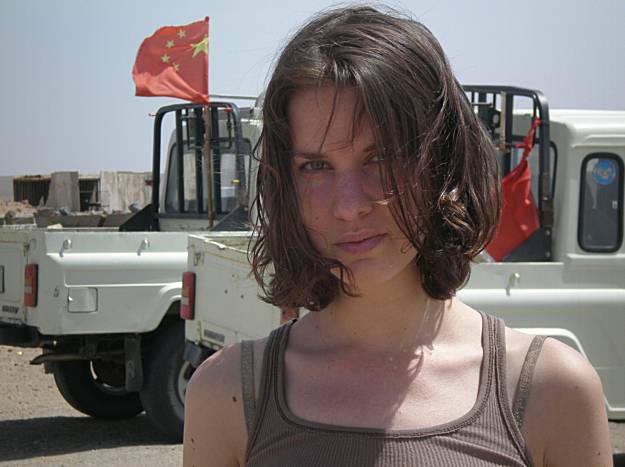 I was talking to a friend of mine, a filmmaker, telling her about someone who’d made fun of me for constantly taking recourse in the language of “heat.” I always talk about essays that way. I’ll say, I just try to follow where the heat is. I guess it’s a kind of unconscious sports metaphor. Or it’s a narc metaphor. You’re trying to find out where the guns are hidden, where the essay is packing the heat. Yes! Packing some emotional tension. My friend and I were talking about what that phrase means—“following the heat”—or what I mean when I say it, and I do think that there are certain emotions that feel to me like signposts, pointing at something important happening under the surface. Shame is definitely one of those emotions. Whenever we feel shame it’s a mark of some deep investment or deep internal struggle. But what I hadn’t thought about before this conversation is how the shame is also always pointing to some kind of conversation, some kind of argument that’s happening. Absolutely. So other than the interlocutors that you flag—like Sontag, for example, who’s all over this essay collection—who are your projected interlocutors? Who’s on the other side of the conversation, shaming you? That was actually something I struggled with a lot during different revisions of “Grand Unified Theory of Female Pain”—I was responding to something very ambient, something I believed in partially because of how many other women felt it too. I was afraid I was looking for scapegoats, voices saying, Don’t play victim. Sometimes the mouthpieces I found were women who had already internalized a larger or more nebulous imperative. What I see in Girls, for example, is this hyper self-awareness. When two girls accuse each other of being wounds—“No, you’re the wound!”—they’re quoting something without definite edges. They’re quoting this ambient energy of judgment all around them. They’re parroting something else. About three of four drafts into the essay, I found the medical study that I cite—“The Girl Who Cried Pain”—and it felt like proof that this nebulous effect is actually manifest in palpable ways. Since I finished that essay, one of my best friends had an experience where she was in a serious amount of pain that wasn’t taken seriously at the ER for about ten hours—and that to me felt like this deeply personal and deeply upsetting embodiment of some of what was at stake in my essay. Not just on the side of the medical establishment—where pain is perceived as constructed or exaggerated—but on the side of the woman herself. My friend has been reckoning with her own fears about coming across as melodramatic. That’s the sense of urgency beneath the essay. I want to make a case for some world in which that fear is dissolved, that fear of being melodramatic. Have you never had that moment of frustration with a friend where you think they’re talking too much about their woundedness? Is your empathy limitless? The moments that really frustrate me are the moments where people seem to be asking for sympathy in this very coded—not quite passive-aggressive, more like passive-confessional way—when they suggest that something has been hard but refuse to outright say it. One version of this is talking about a really difficult experience in an intentionally coy or jaded way—where there’s not just a plea for sympathy but also a plea for admiration. Admire my stoicism. It’s a brittle crust performed over the feeling. But there are so many reasons people do that—deep pain or trauma makes expression difficult for a thousand reasons. I do think sometimes when I talk about my own medical history, I’ve just talked about it so many times that it doesn’t have a lot of affective charge anymore, and I think of friends who’ve had really hard things in their lives that make it almost more exhausting for them to go through the whole spectrum of their own emotions every time they talk about it…they genuinely don’t need any particular affective response from anyone, so they’re saving them the hassle. It’s not necessarily coming from shame or a passive aggressive plea for sympathy. It’s just a trodden path. My parents are both physicians, and I’m always conscious of how they tend to quantify both the act of suffering and pain relief. Have you encountered different or competing ways in which other people conceptualize empathy? That makes me think about my own relationship to my parents’ professional lives. I’ve started thinking more about what my parents do and how it relates to what I write about, and how it relates to empathy more generally. My dad is an economist who does global development research—what he practices is a kind of quantifiable empathy, trying to empathize with systems rather than people. His research is devoted to trying to figure out cost-effective ways to ease global disease burden—and in a way that’s like trying to figure out what’s wrong with the system, what’s causing the most aggregate suffering, and then thinking about how to address that suffering in the most efficient way. The texture of it is so absolutely different from what I do and what I’m invested in, but I feel like his work prompts me to think about empathy in slightly different terms. Do you show your essays to the people who are in them? The one that struck me in particular was Charlie, the marathon runner you visited in prison, in “Fog Count.” Were you nervous showing him that essay? What was his response like? I had always intended to show that piece to Charlie, but when I was working on it with Roger Hodge—who edited it at Oxford American—he was very clear about that not being possible. Journalism 101, he said. You can’t show the essay to its subject. So I didn’t show it to Charlie and that made me feel anxious. He ended up loving the piece. But that piece is one where I’m corroborating his story more than I’m pushing back against it. There are moments that I see around Charlie—like the moment where I talk about feeling his anger in the margins—moments when I’m thinking a little outside the story he’s telling. But generally I’m supporting his account of his own life. Another thing that made a big difference in Charlie’s situation is that he’s used to public attention—and he likes public attention—so having his life exposed wasn’t intrinsically violating. But when I write about my family—and I haven’t written about them much that’s been so much trickier for a lot of reasons. Regardless of the substance of what I’m saying, the simple fact of saying it—in a public context—can feel violating. Does the same hold true for the piece about Morgellons disease, “The Devil’s Bait”? Because Morgellons sufferers like a group of people who actually would really appreciate the kind of attention that’s being brought to them. I started itching when I read that piece. My dad has shown that piece to a couple of his colleagues who are doctors and some of them itched too! That felt like triumph to me. If I can make the doctors itch, then there’s some circuit of identification that’s been closed or connected. You’re absolutely right about Morgellons patients—not only are they comfortable with the idea of being written about, they really want that. The pain of their disorder is the pain of misunderstanding and invisibility. Part of the reason I felt self-conscious was because I wasn’t giving them exactly the kind of visibility they wanted. There are fibers, it’s real. That wasn’t the piece that I was writing. I didn’t feel like I’d made any promises that I was failing to deliver on, but I’m also a pleaser. I think it’s really hard to be a people pleaser and a nonfiction writer. You don’t leave your personal self at the door when you write, and you still have to deal with all the personal ramifications of what you write. The part of me that wants everyone to love me all the time is very troubled by the idea that I would write something that someone didn’t want to hear. What do you think is the right way to teach empathy? The moments that seem truly empathetic to me take a different shape than what I would have expected. For example, I was talking to a cardiologist once about my heart condition—this was after I’d had a surgery that failed and I’d been on one medication that had failed—and I was going to see this doctor for a second opinion. At that point I was sick of spending time in hospitals—and I was sick of dealing with the condition—so I started getting emotional as I was telling him my story, and then I started getting more emotional because I felt ashamed about getting emotional. Some feeling like, People have to deal with such hard stuff, why am I crying about this? Which just made me cry more. My aunt was with me for that appointment, and the doctor just started talking to her instead—in this incredibly graceful way. He could see I just needed a break. He could sense what was going on with me—or making a guess about what I needed—and there was something about the specificity or the flexibility of that response that felt organically sensitive to what was happening between us in that moment. It didn’t come from some formula or sheet or set of rules. 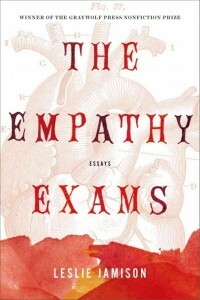 Could we assign The Empathy Exams to medical students who want to behave more empathetically? I think about that article published in the New York Times recently—that reading literary fiction makes you more empathetic—because it felt to me that there were meaningful results in those studies, but I wasn’t sure what they were. You read something for three minutes and then perform better on a test? It’s measuring something, but I don’t know what that something is. It would seem that what fiction can do is bring you into some kind of continuous narrative—not just give you some three-minute injection of imagined experience. The difference between literary fiction and melodrama might be embedded in the idea that, with melodrama, you actually couldn’t feel as deeply in just three minutes, because anything you felt would be coming from some impulse or reaction that was already there—a situation or memory or archetype or stock response. So I don’t know what teaches empathy. If you operate under the premise that everybody already has some experiences that could be sources of empathy for them—I wonder if there’s some process of coaxing people into tapping into that knowledge. Dissolving those boundaries between professional identity and personal experience is actually also part of what I’m trying to do with the collection. I want to blend the professional texture of journalism with the weird feeling of someone peeling off a Band-Aid in front of you. An extended version of this interview appears in The Empathy Exams.